Mancine Body Wash - Kiwi & Aloe 12.7 oz. - 375 mL. 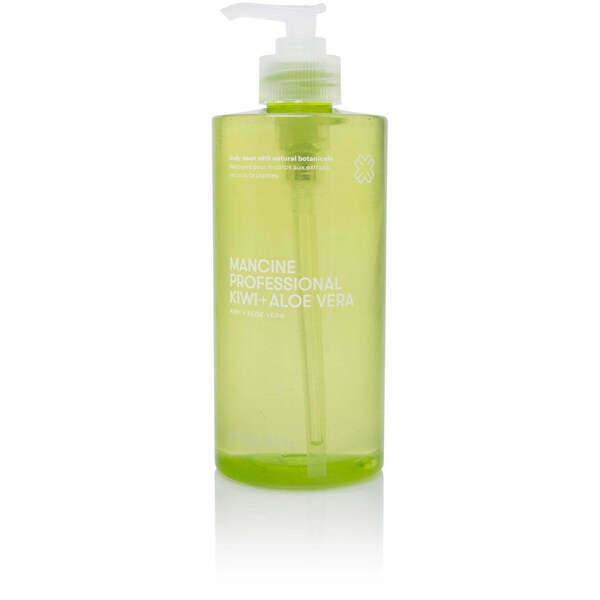 Herbal humectants soothe, with the aloe vera & kiwi formula deeply moisturizing your skin for an all day or night relaxation and peace. Harmonize your skin care routine by applying with our Exfoliators or Scrubs. Pair with our Body Butters & Lotions for the best, long-lasting results. An energized and revitalized complexion awaits.